From the time it was announced in January, the agreement between Gov. 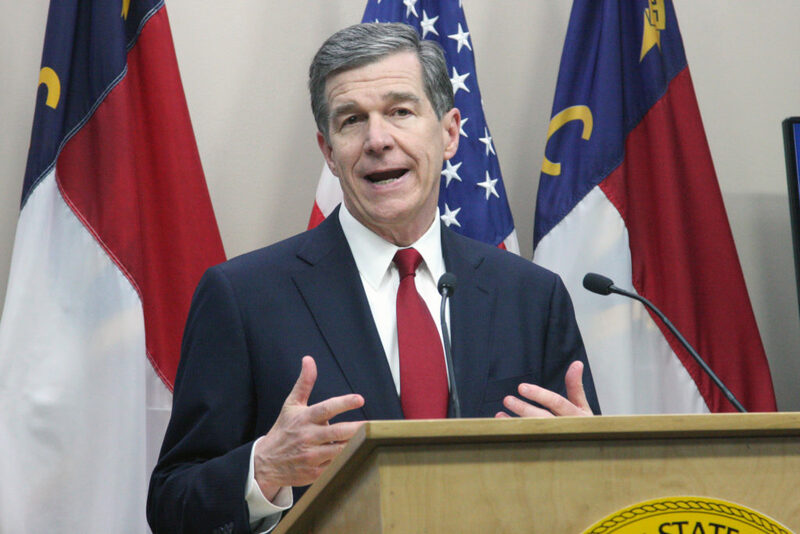 Roy Cooper and the companies building the Atlantic Coast Pipeline invited questions about its constitutionality, legality, and practicality. North Carolinians are poised to get answers when work by a subcommittee of the Joint Legislative Commission on Governmental Operations gets under way Nov. 14. At issue is the $58 million Memorandum of Understanding announced by Cooper hours after the Department of Environmental Quality provided certification for work on the pipeline to continue on its route through eastern North Carolina. The permit was announced by DEQ on Jan. 26 and the MOU had been agreed to by both parties only the day before, raising questions of timing and pay-to-play. Eyebrows were raised further when it was revealed the agreement is between the ACP partners and Cooper himself, not the State of North Carolina. The controversy was heightened by Rep. Pricey Harrison, D-Guilford, when she said, as reported by WRAL, that it “wasn’t that they were paying $57 million or whatever it was to get the permit. It was just that that was a condition of getting the permit granted was the access to this fund that would try to undo some of the damage that was created by the pipeline, and that seems like a legitimate use.” Harrison later asserted her comment was inaccurate. The constitutional question over who controls the money was dealt with swiftly. Under our constitution, only the legislature can appropriate funds that come to the state. By directing the $58 million directly to an escrow account controlled by him, Cooper attempted to circumvent the constitution. Shortly after the MOU was announced, the General Assembly passed legislation redirecting the funds to the state treasury. That leaves open the issue about the timing of the MOU and the permit. We don’t yet have enough information to draw a firm conclusion. In laying out the case for an investigation on Aug. 29, Sen. Paul Newton, a Republican who represents Cabarrus and Union counties, cited monthly requests from DEQ to ACP partners for additional information that potentially delayed final approval. In his presentation, he asked whether those requests were “levers to stall the issuance of the permit until the MOU was fully negotiated.” Such an abuse of the review process would be serious, and one that career staff at DEQ would be loath to implement. The committee could clear the air on this issue by questioning DEQ staff. Hopefully, the subcommittee will learn whether (a) the timing of the permit and the MOU was a coincidence, (b) the pipeline partners sought to voluntarily pay for the permits in a quid pro quo memorialized in the MOU, or (c) the ACP partners were forced to pay as implied by Newton. We’ve waited the good part of a year for answers about whether or not the state’s environmental permitting process is transparent and fair, and whether the state constitution is respected. Let’s hope the answer to both is yes. But if this MOU shows something is amiss, let’s find out why and, together, set about to make things right. Joe Coletti is senior fellow at the John Locke Foundation, where he examines fiscal and tax policy. He previously headed the N.C. Government Efficiency and Reform initiative within the Office of State Budget and Management.